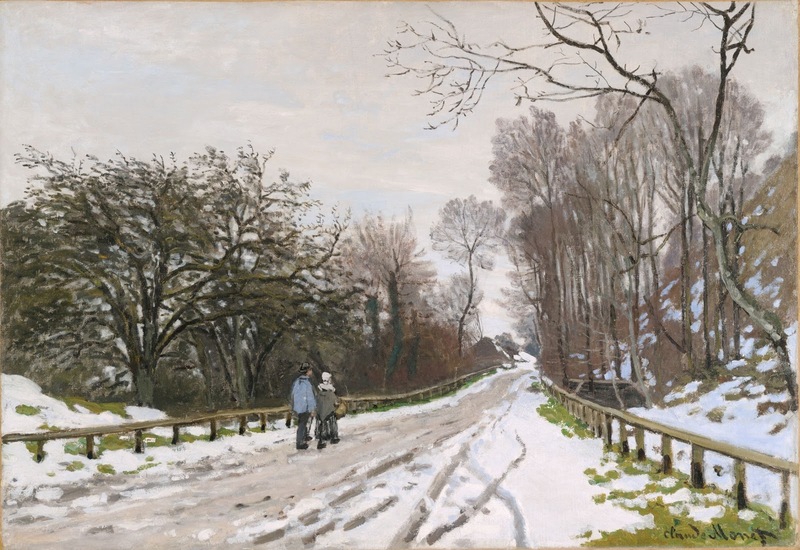 With Manet's🎨 assistance, Monet🎨 found lodging in suburban Argenteuil in late 1871, a move that initiated one of the most fertile phases of his career. 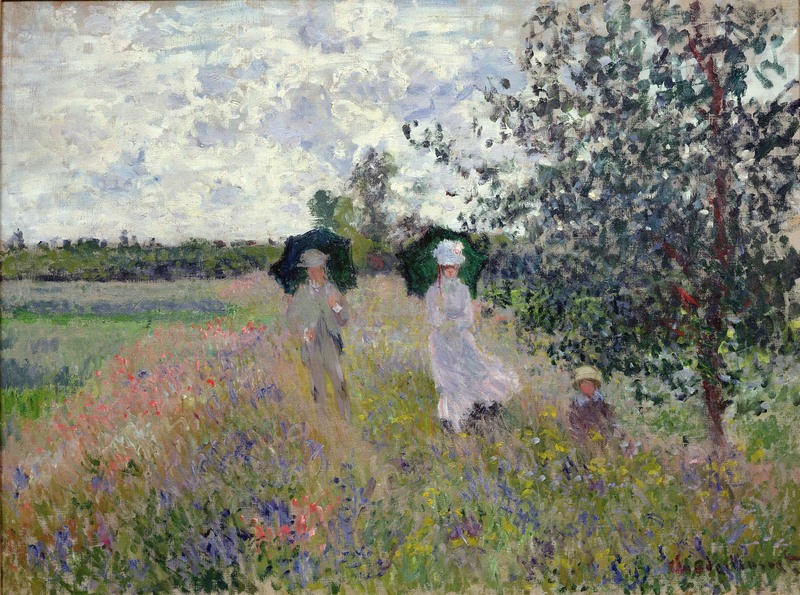 Impressionism evolved in the late 1860s from a desire to create full-scale, multi-figure depictions of ordinary people in casual outdoor situations. 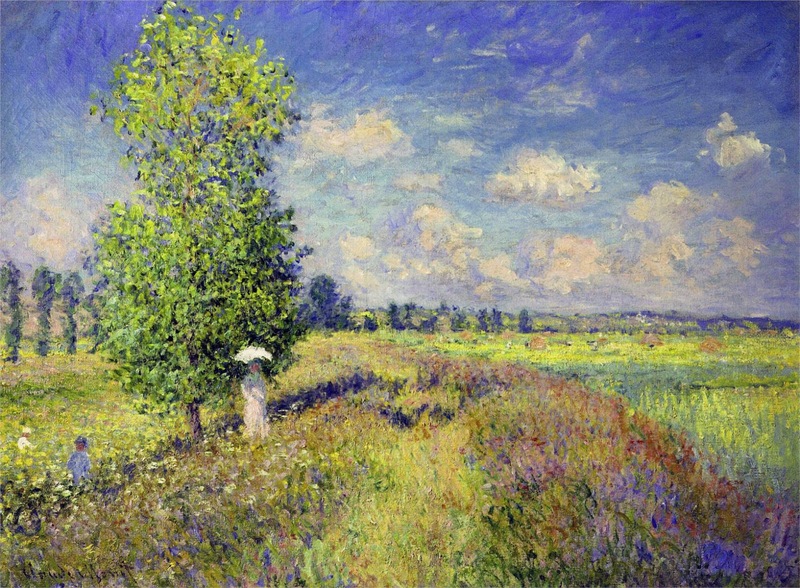 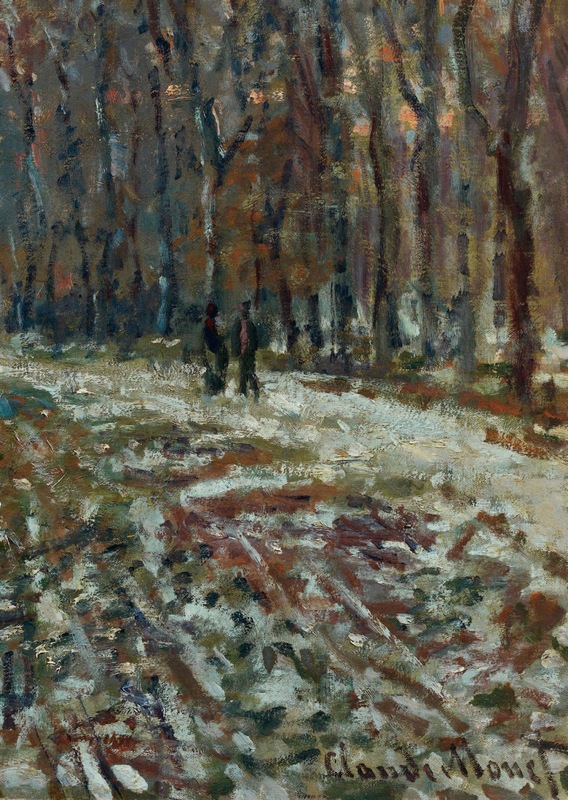 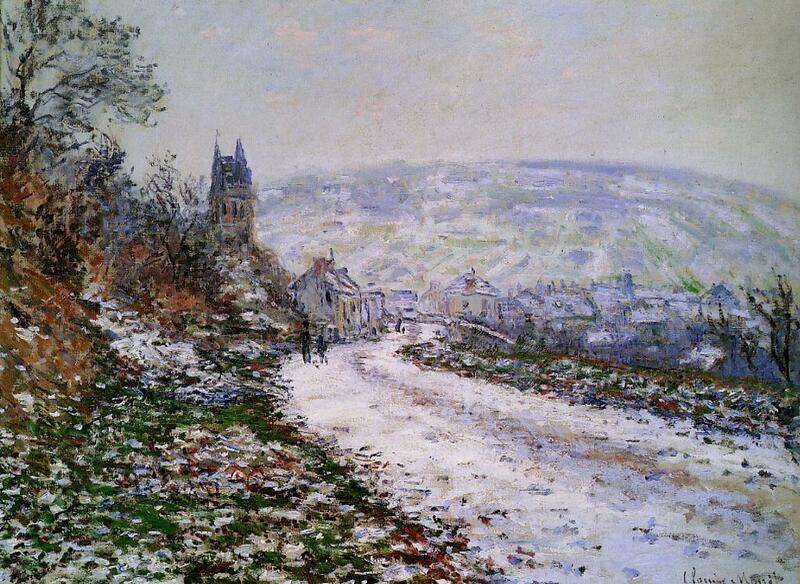 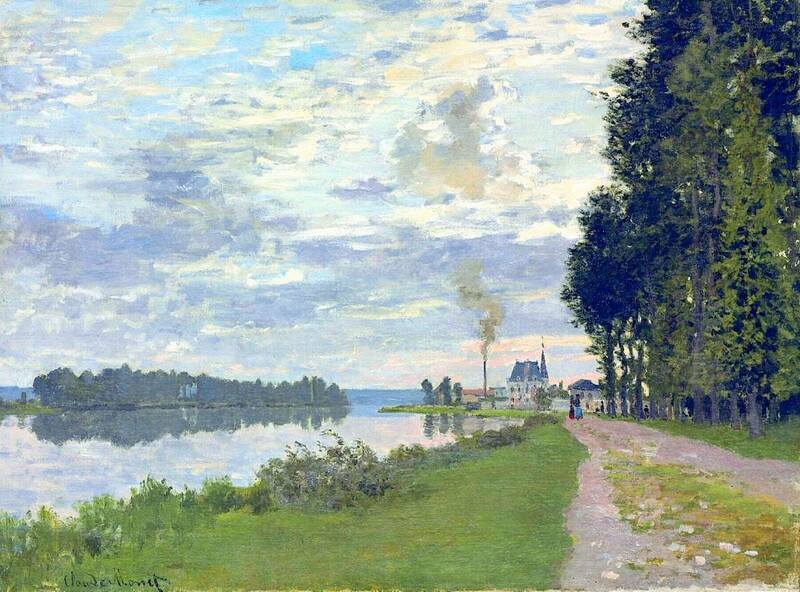 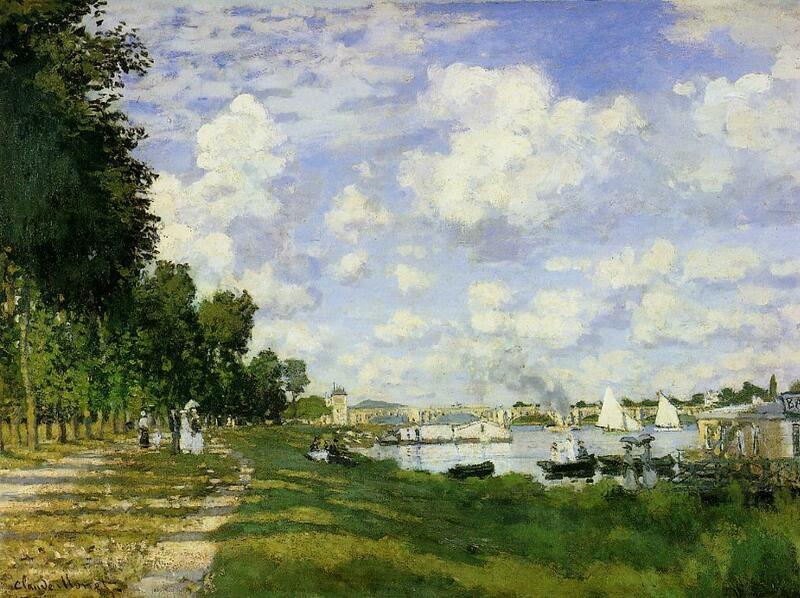 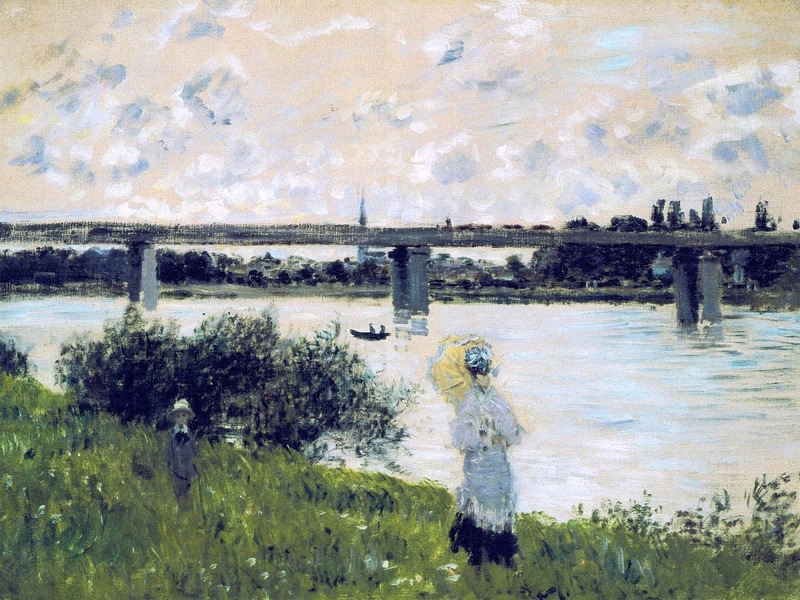 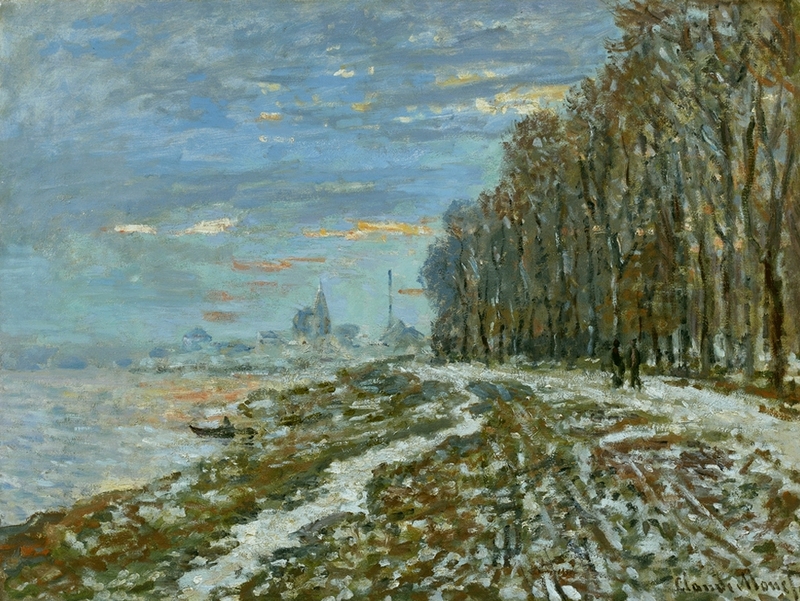 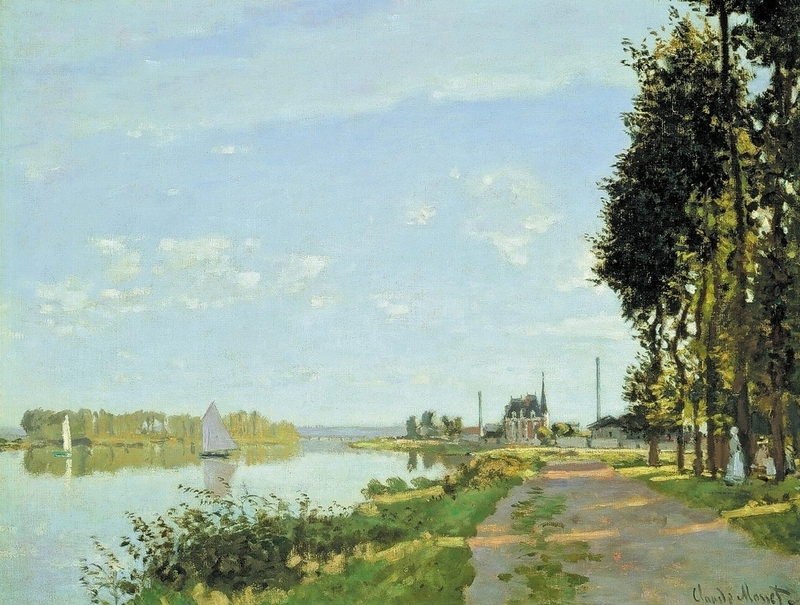 At its purest, impressionism was attuned to landscape painting, a subject Monet favored. 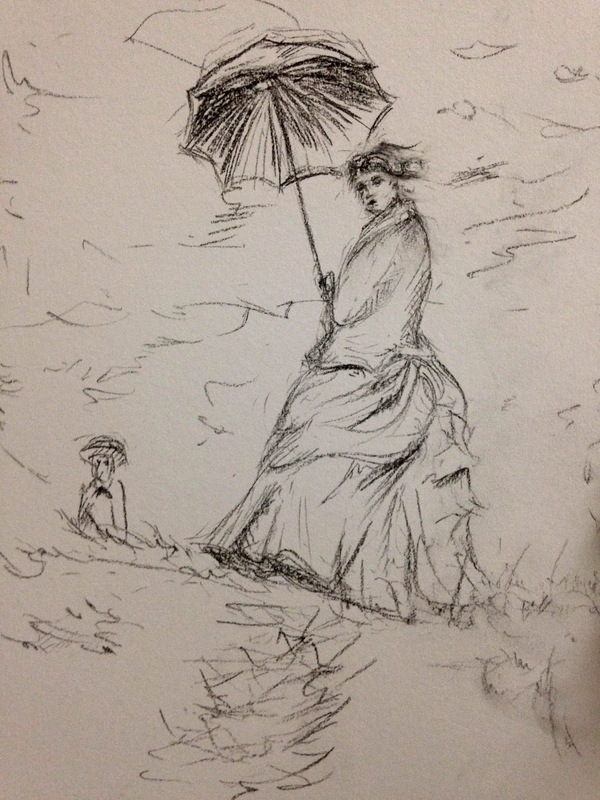 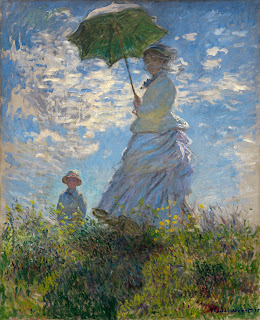 In Woman with a Parasol - Madame Monet and Her Son, his skill as a figure painter is equally evident. 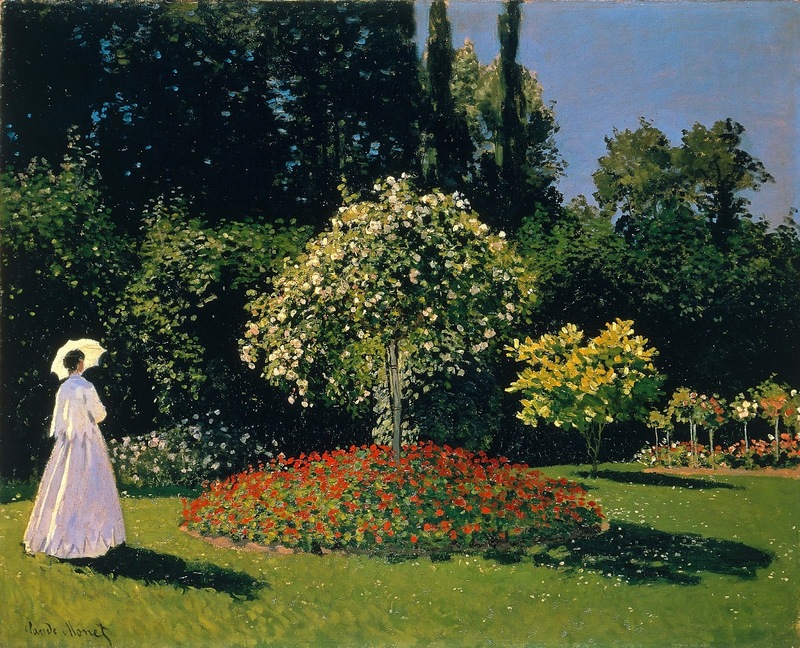 Contrary to the artificial conventions of academic portraiture, Monet delineated the features of his sitters as freely as their surroundings. 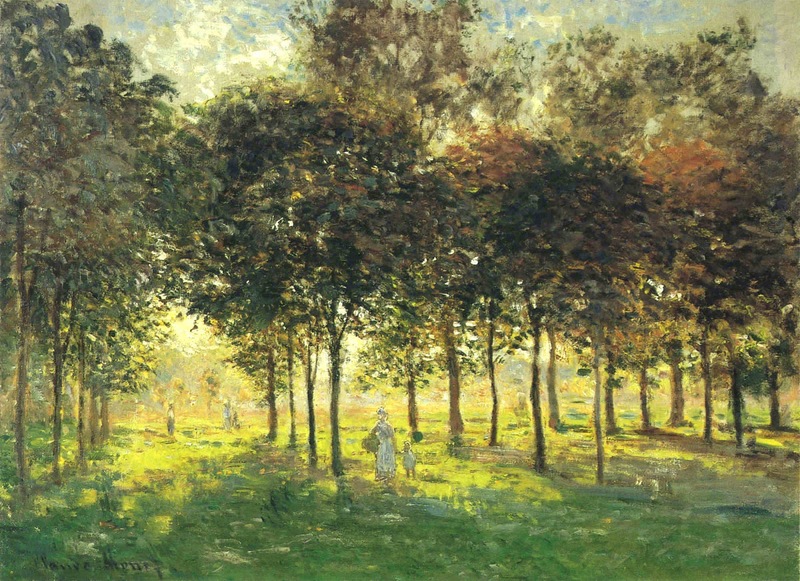 The spontaneity and naturalness of the resulting image were praised when it appeared in the second impressionist exhibition in 1876. 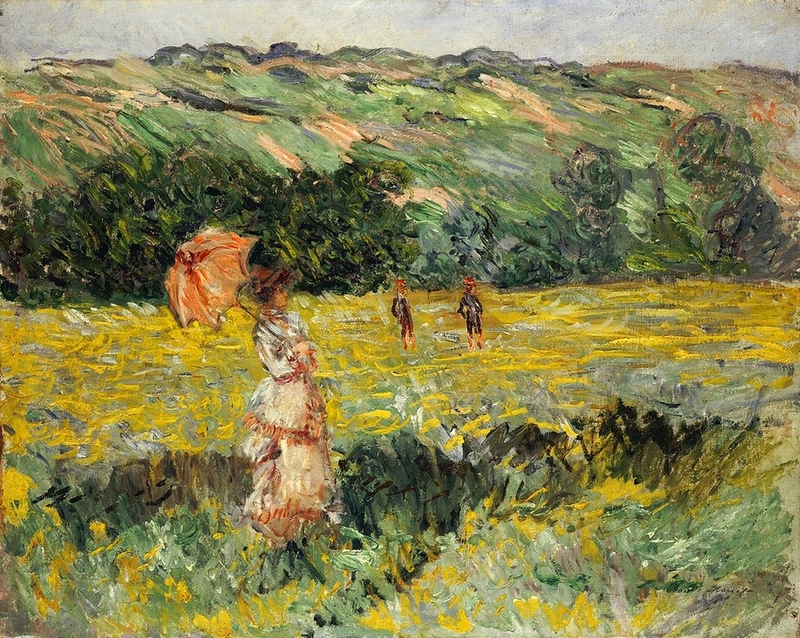 Woman with a Parasol was painted outdoors, probably in a single session of several hours' duration. 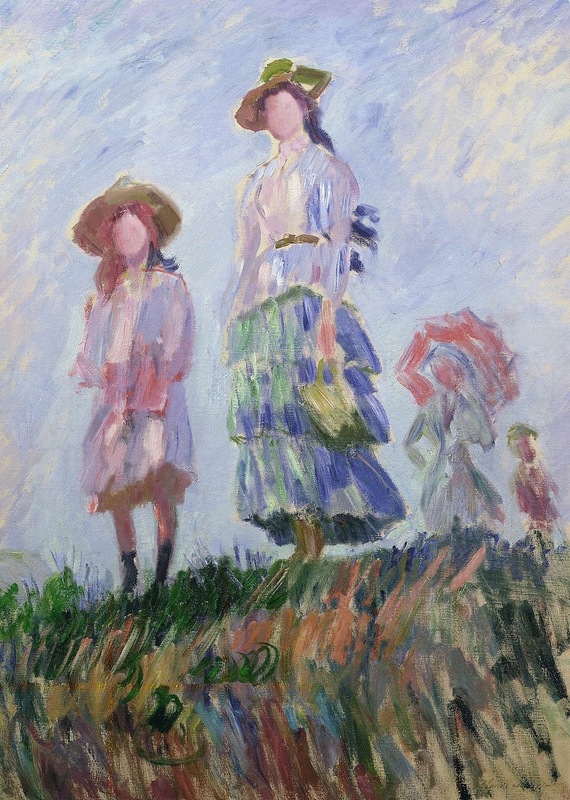 The artist intended the work to convey the feeling of a casual family outing rather than a formal portrait, and used pose and placement to suggest that his wife and son interrupted their stroll while he captured their likenesses. 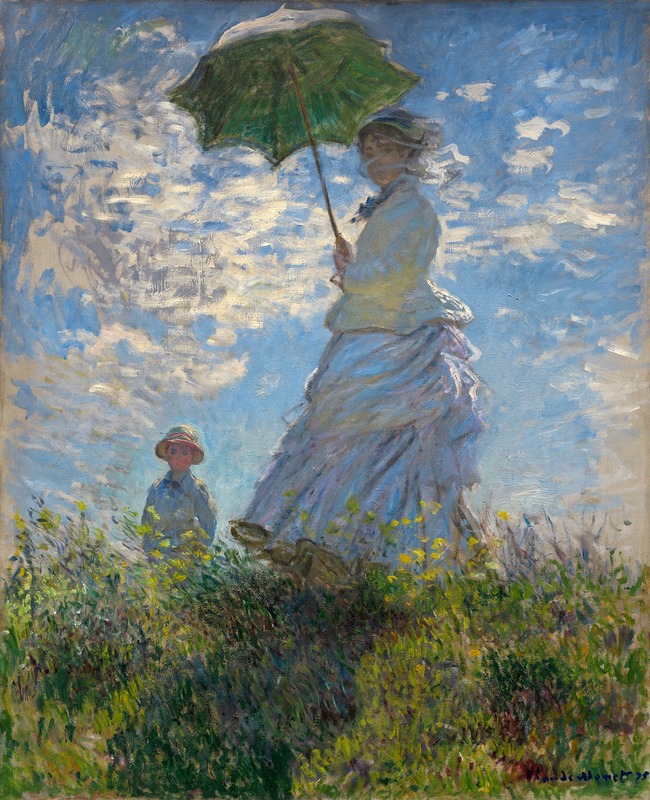 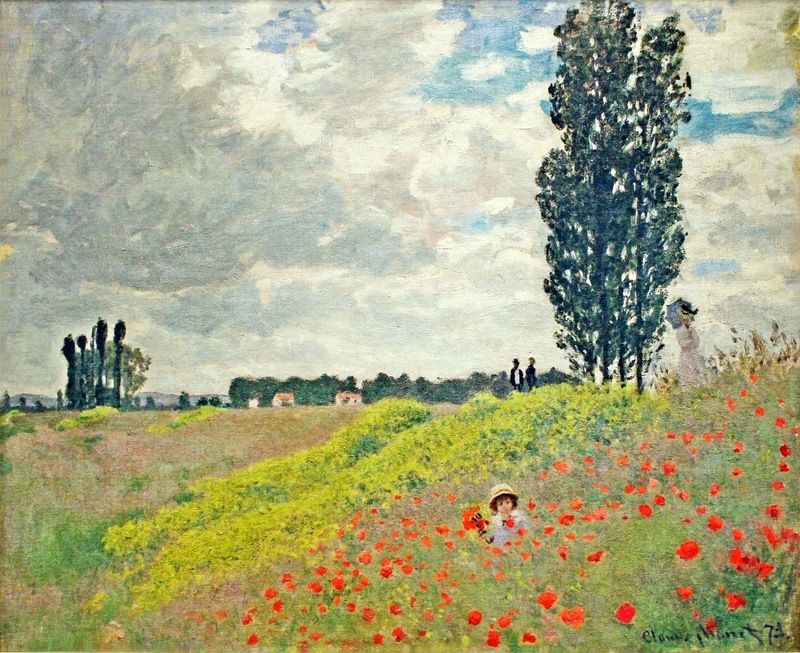 La passeggiata (Camille Monet con il figlio Jean sulla collina) è un dipinto a olio su tela (100 cm x 81 cm) realizzato nel 1875 da Claude Monet🎨. 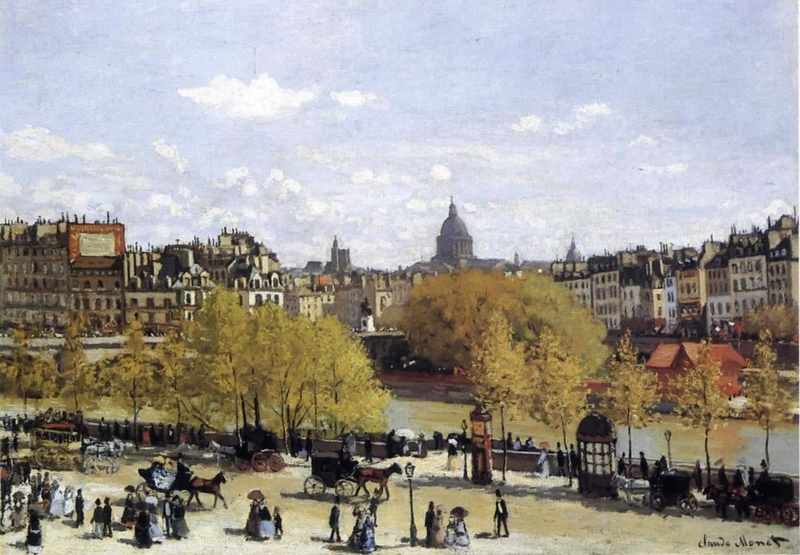 È conservato nella National Gallery di Washington. 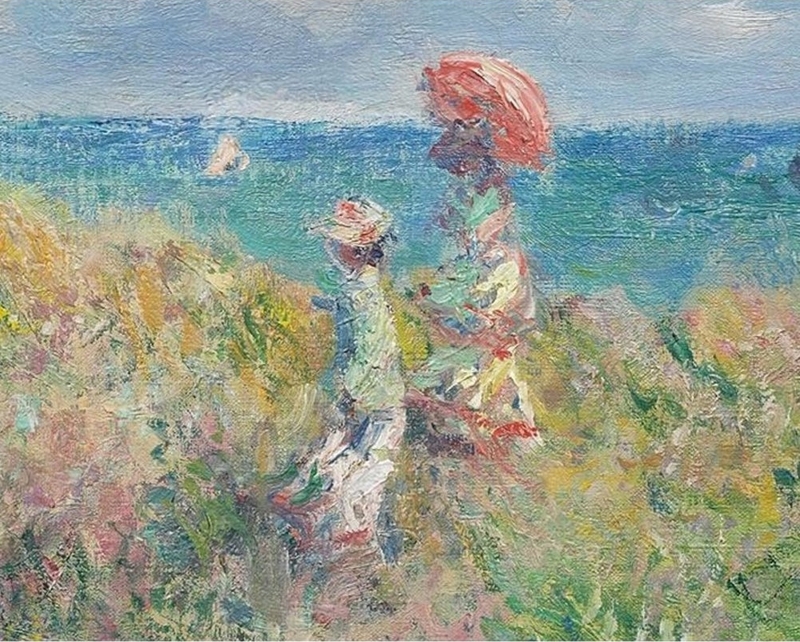 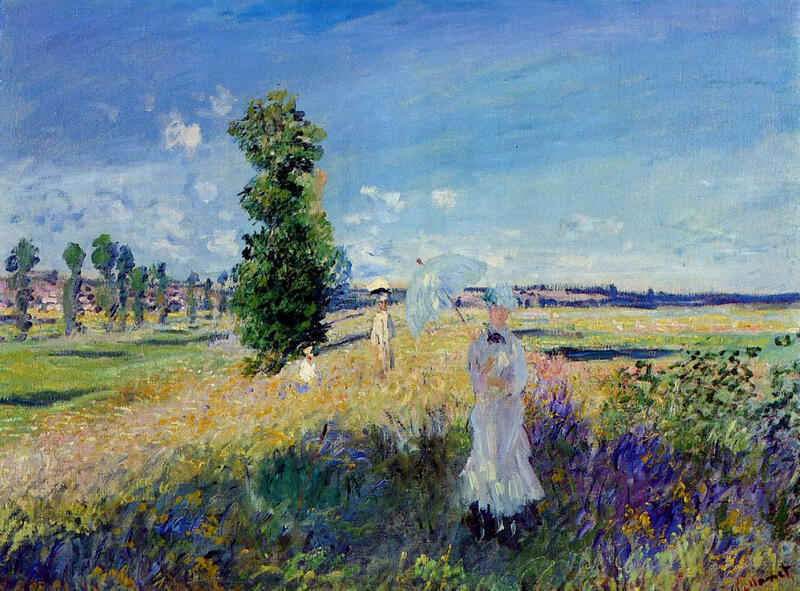 Il bagliore dorato delle nuvole e i vibranti riverberi gialli nella vegetazione, ci fanno capire che il sole è molto caldo e che Camille Monet e il figlio Jean hanno fatto bene a proteggersi con il cappellino e l'ombrello. 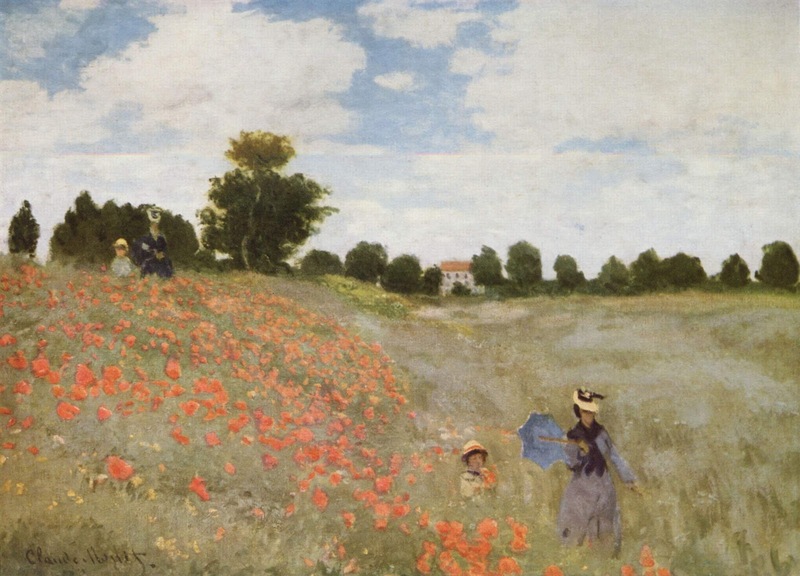 Siamo ad Argenteuil nell'estate del 1875 ed il pittore sta fissando sulla tela la passeggiata in collina della moglie e del figlio, fermando così per sempre quel breve periodo di grande felicità familiare. 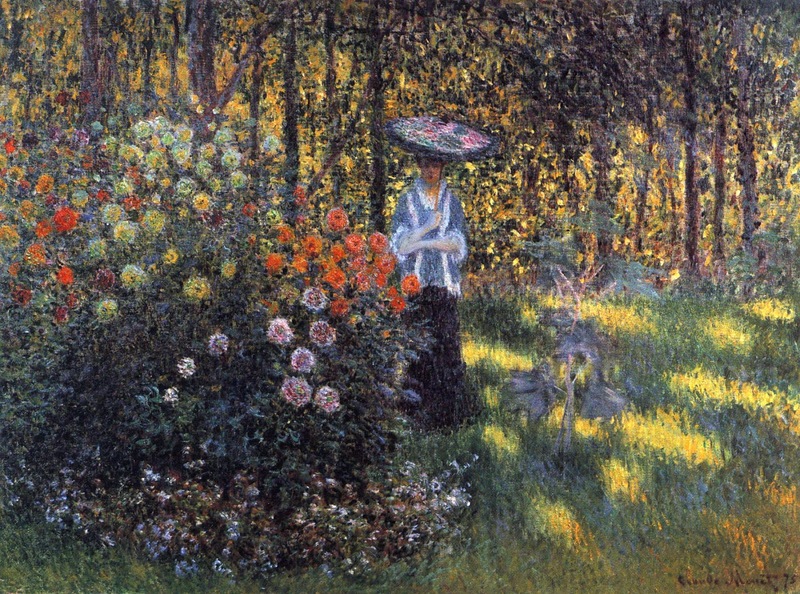 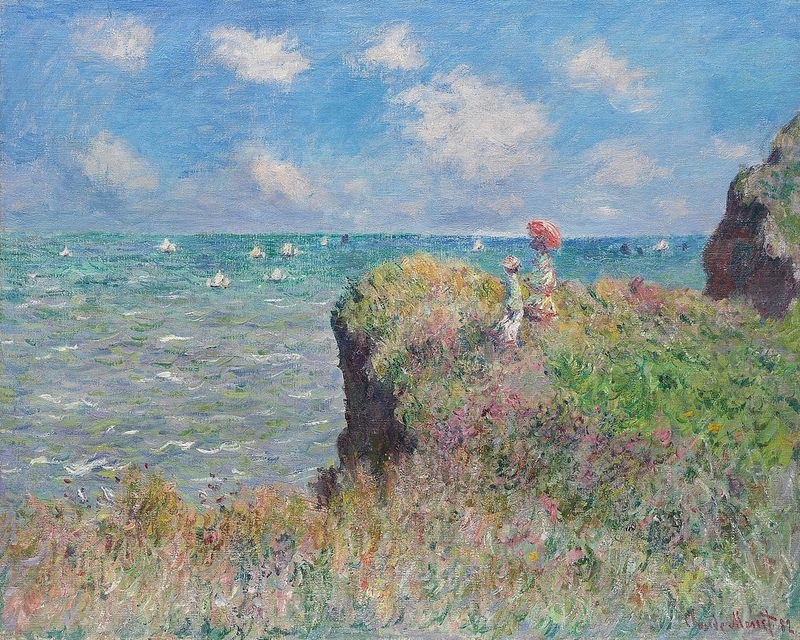 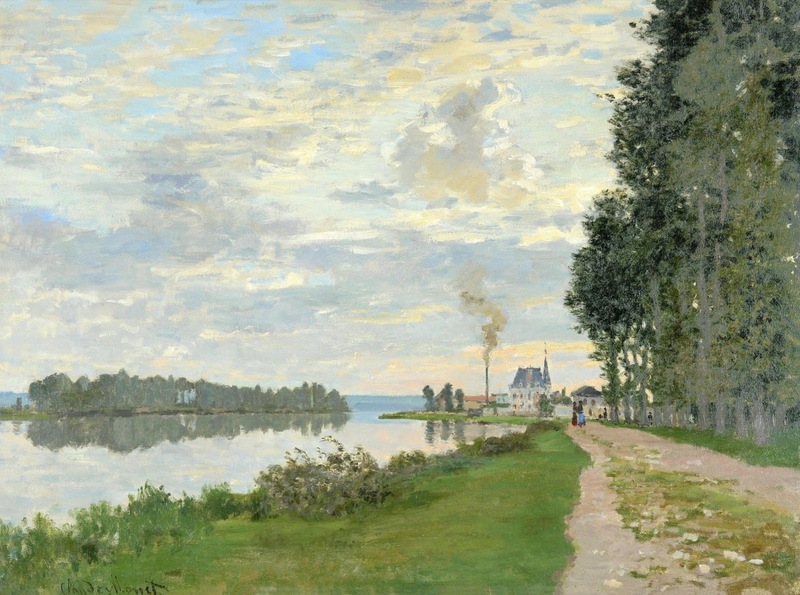 Eppure Camille Monet sembra avere un inspiegabile velo di tristezza nello sguardo, quasi a presagire l'ineluttabilità di quel destino che, appena quattro anni dopo, sarà così severo con lei.